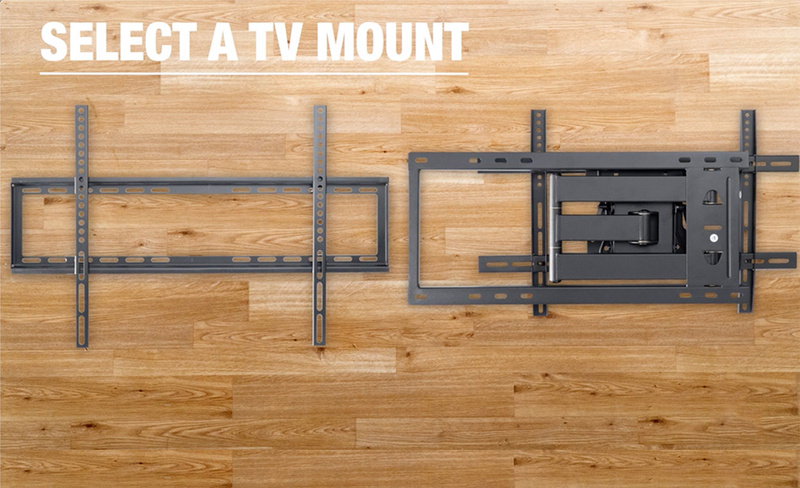 Save floor space and create an elegant look in your home when you install a TV wall mount. This will elevate your TV so there’s not a bad seat in the house. 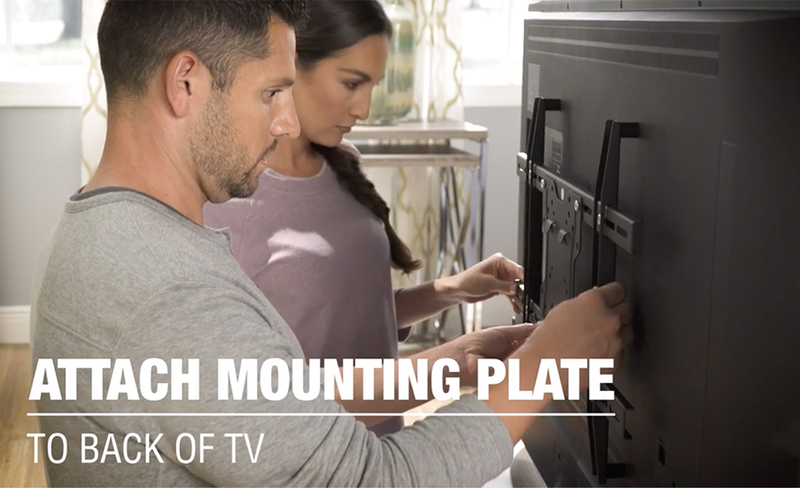 Standard TV mounts keep the television in a stationary position, flush against the wall. An adjustable swivel TV mount allows you to manually angle the TV once it’s mounted. 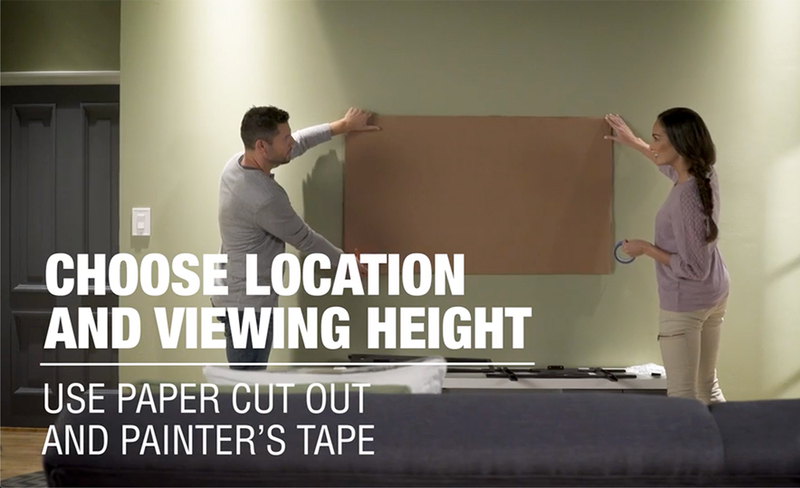 Cut out a sheet of paper or cardboard the approximate size of your TV and hang it on the wall in your desired location. Affix to the wall with painter’s tape. Test out that location from different locations around the room – make sure it’s centered and isn’t positioned so high that it strains your neck when you look at it. 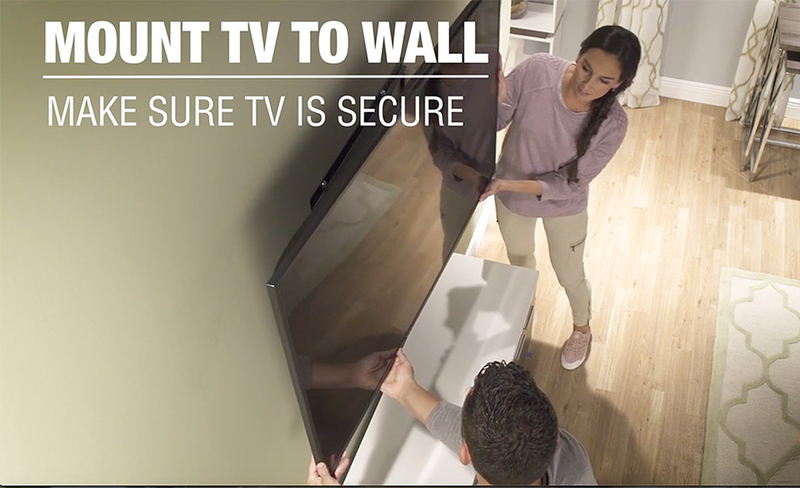 Tip: Do not use hollow-wall anchors as they cannot support TV wall mount brackets. Once you’ve picked an ideal location for the television, run the stud finder along the top of the paper. 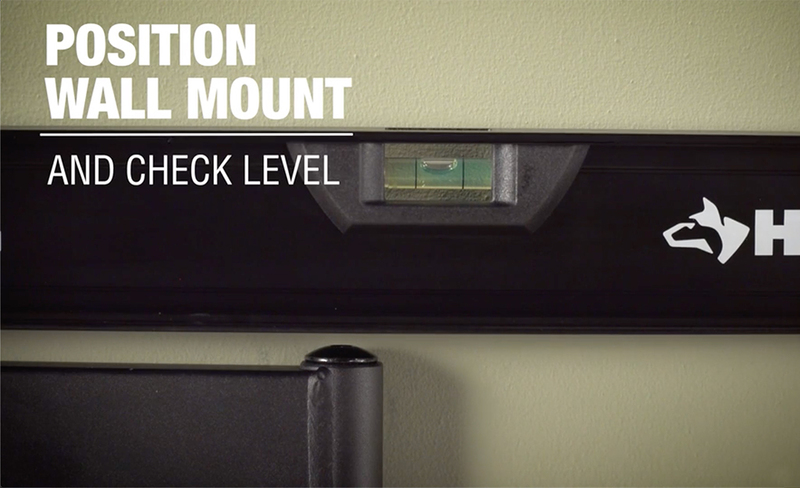 Use a stud finder to locate the two studs in your wall that will support your TV. Mark the location of each stud’s center with a pencil. Use a nail to confirm a stud has been located. Mark lightly in pencil where the corners of the TV will be and remove the paper. Measure the distance between the top and bottom holes on each TV mounting arm. Mark two points in the center of each wall stud, corresponding to these holes. Use a level to ensure the mounting holes for each arm are even. 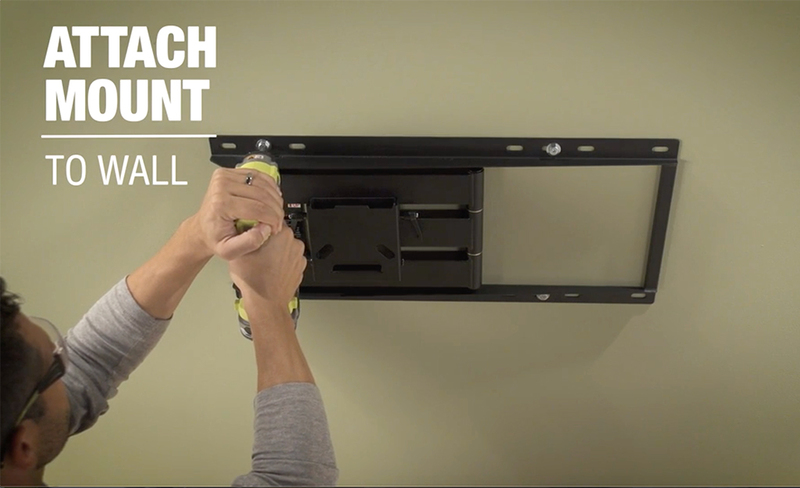 Hold the flat screen wall mount or TV mount brackets up against the wall and use a level to make sure it’s even. Use a friend to help you hold the wall mount. Tip: Remember the old adage, “mark twice, cut once.” That same rule applies to drilling in walls – check that the mounting holes are level twice before drilling. 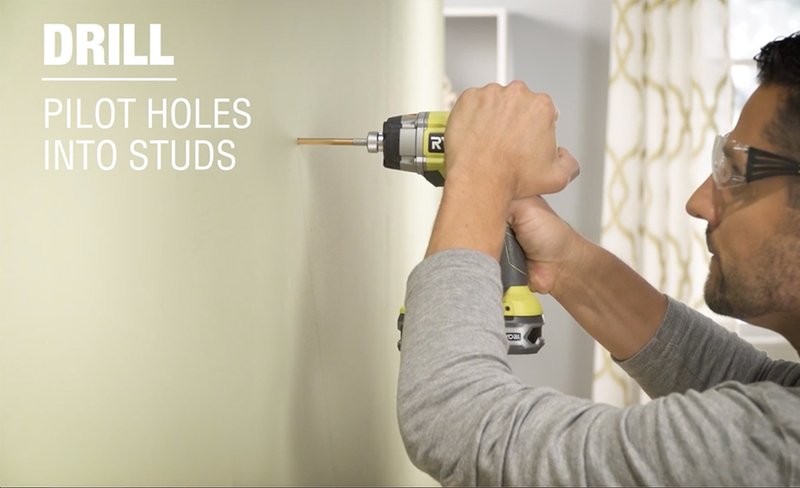 Drill pilot holes into studs along where you’ve made the marks. This is the easiest part – simply have a friend hold the mount against the wall where you’ve drilled the pilot holes and drill screws to attach. Check again that it’s level once mounted. Tip: Drill in each screw halfway and check that they’re level before tightening all of them. Follow manufacturer’s instructions to attach the mounting plate to the back of the TV. Follow manufacturer’s instructions to mount the TV to the wall. Double-check that the connection between the wall plate and TV plate is secure. 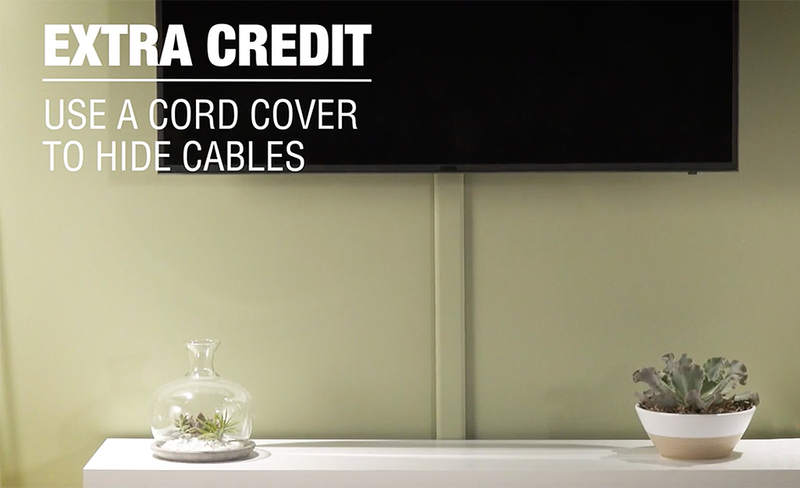 After mounting a television, use a cord cover to hide the cables dangling from the bottom of the TV.